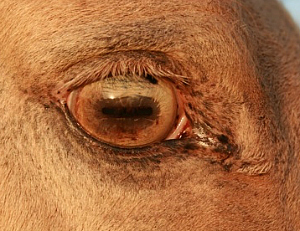 A hazel eye is usually just a lighter brown eye with marbling. 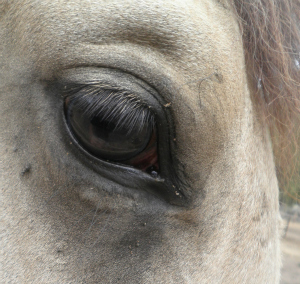 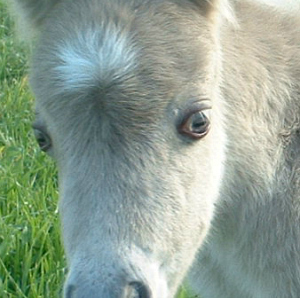 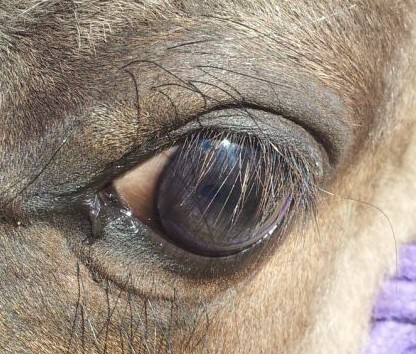 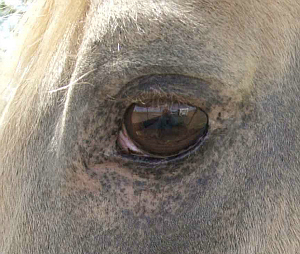 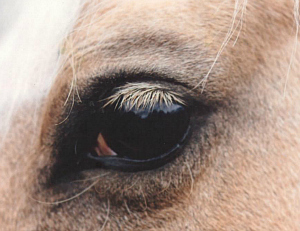 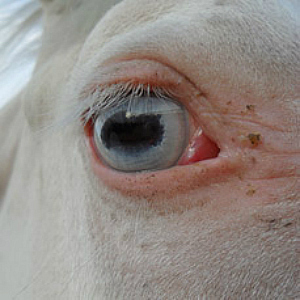 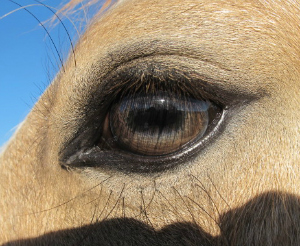 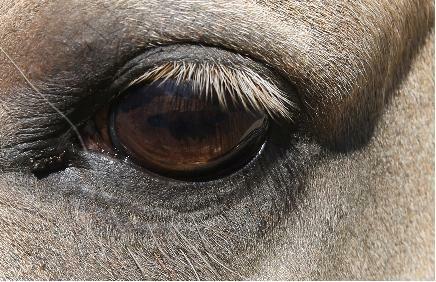 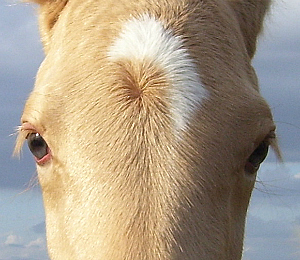 Foals are often born with a blue grey eye and these horses generally also have marbled or flecked skin. 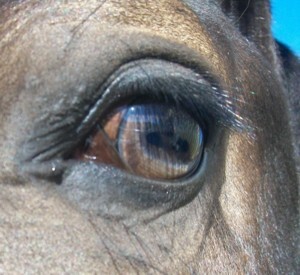 Hazel eye showing marbling and blue lense. 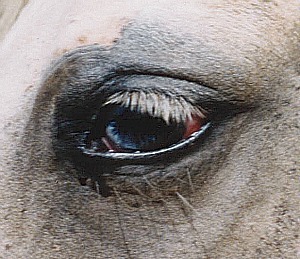 Cloudy blue grey patch in top right is scar tissue. 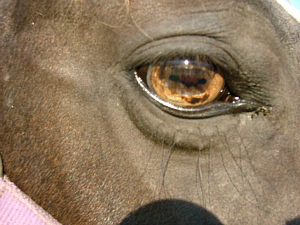 A glass eye is like glass - it is transparent and you can 'see' through it. 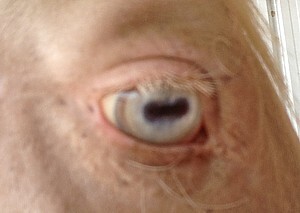 It is still pigmented but the pigment has been diluted to clear blue, yellow etc. 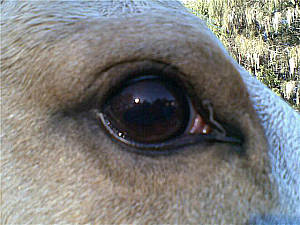 The pupil is usually the same colour as the iris. 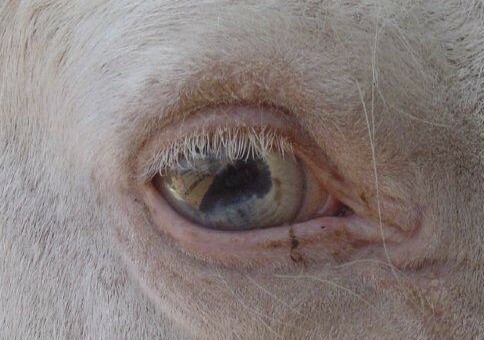 A china eye is like china - it is opaque and lacks pigment so the iris appears white and opaque like china. 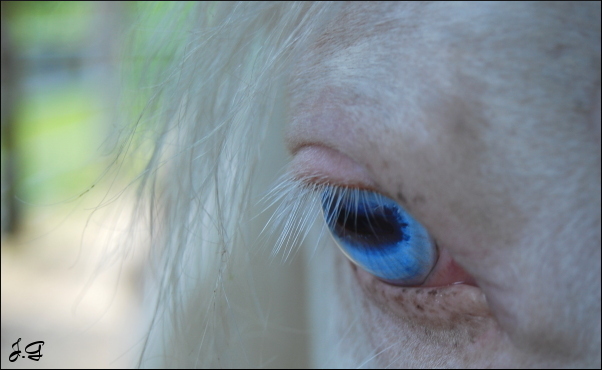 Some china eyes do have a ring of blue pigment around the iris but the outer area of the iris is generally white. 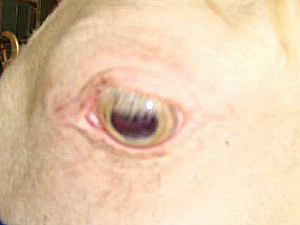 The pupil is usually brown. 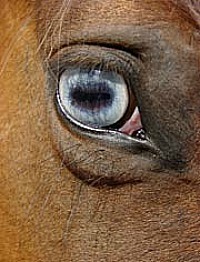 Blue eye on cream pearl composite foal showing the way this combination mimics double cream. 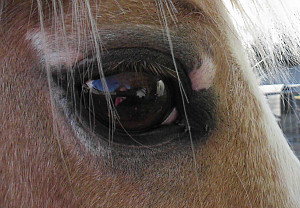 These eyes are acceptable because the pink spots on the eyelids do not extend into the pigment of the eye itself. 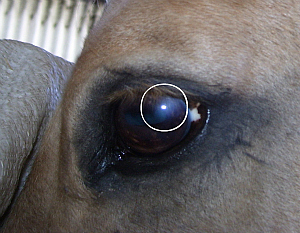 Left: scar tissue caused by eye injury. 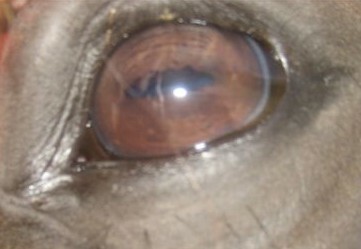 Lighter pigment in sclera also allowable so long as it doesn't extend into the iris. 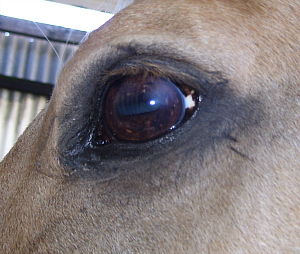 The following eye types and colours are not accepted on SOLID dilutes for the purposes of Dilutes Australia solid dilute registration but are acceptable on DA Non-Solid Dilutes. 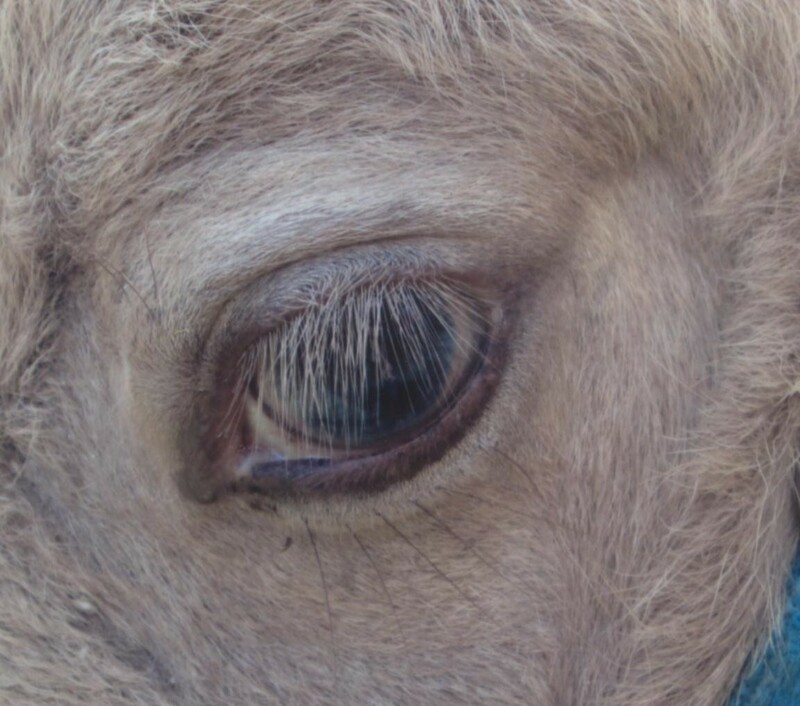 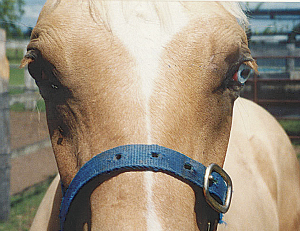 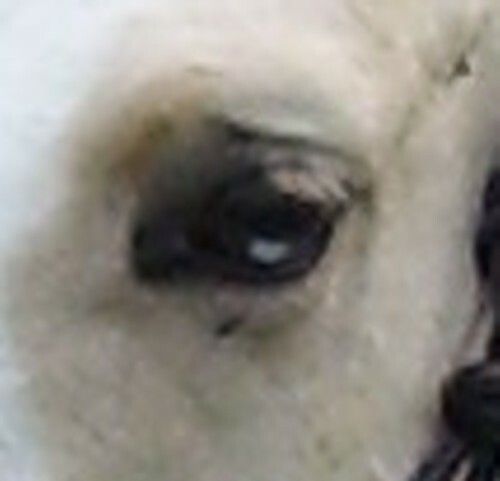 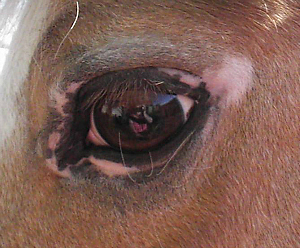 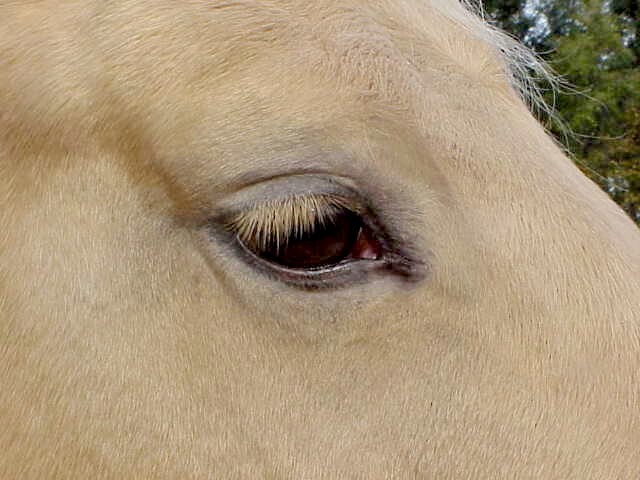 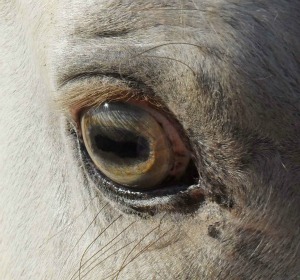 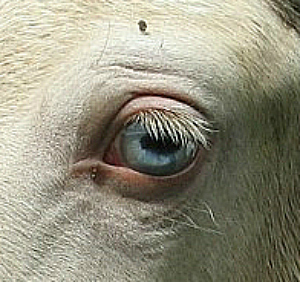 Note the white iris and dark pupil which has the appearance of bleeding into the white iris. 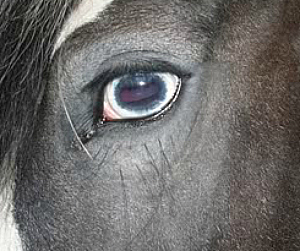 Blue splashes or patches in an otherwise dark eye.